Halloween isn’t that far and if you are going to celebrate it somehow or at least give treats to kids who come to your door, this roundup is for you. We’ve prepared a bunch of candy and treat jars for Halloween – they will be nice for parties and for kids coming for a trick or treat. Let’s take a look and maybe you’ll craft something. 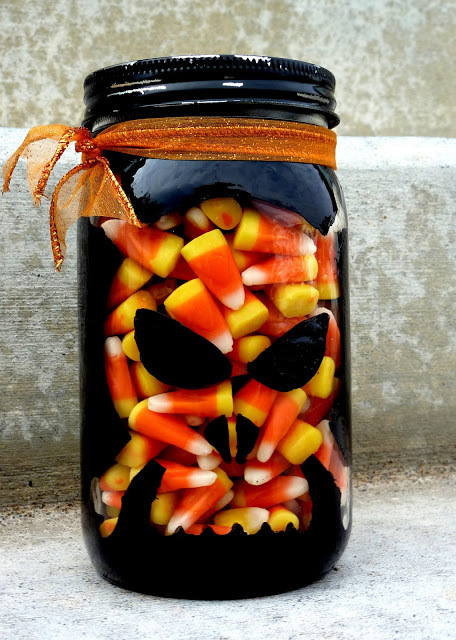 I love to have jars of candy corn around the house during this time of year. Not only are they fun sweet treats, but their colors remind you of Halloween and fall decor! And these sweet little jars will help you do just that. 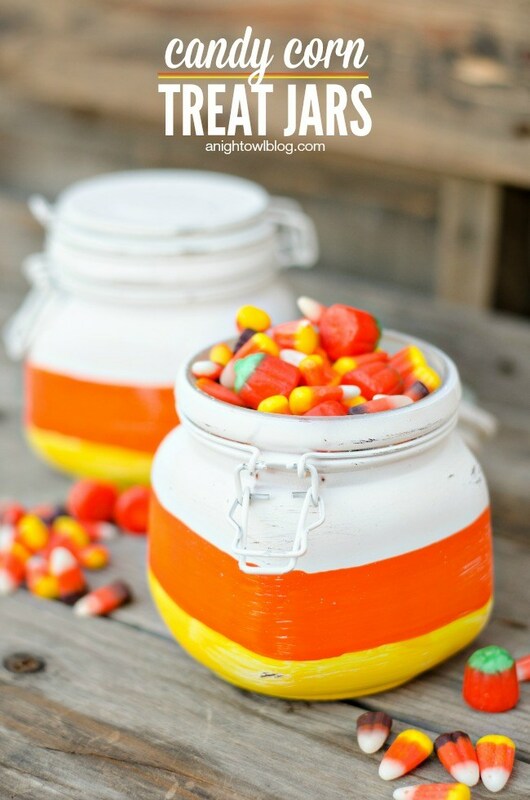 Paint mason jars in candy corn colors and fill them with treats for a festive fall gift idea! This is a fun kids’ craft too! 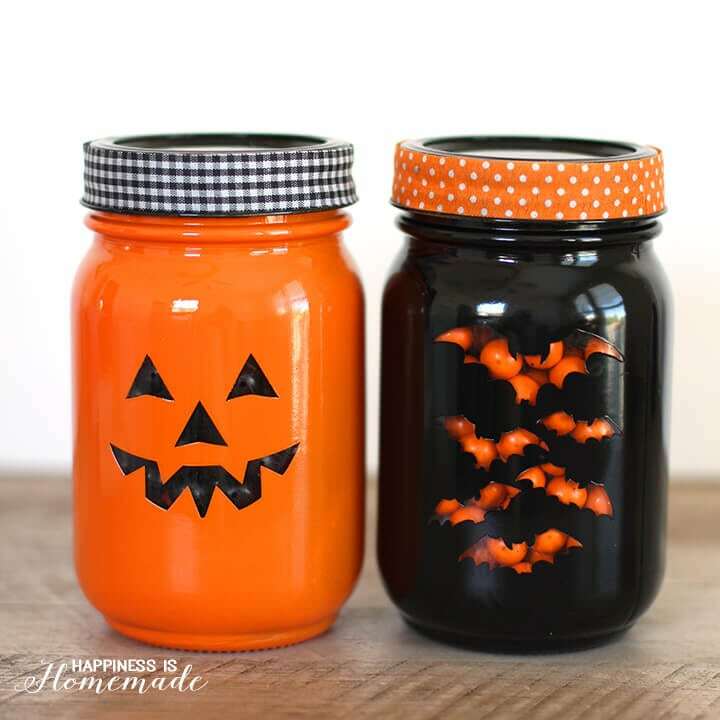 DIY Halloween treat jars are a super quick and easy Halloween craft that can be made in under 15 minutes! These cute treat jars would be a great addition to your “You’ve Been Booed” basket, and they also make a great teacher or hostess gift idea! The jars are made using stickers or stencils and I bet your kids would love to take part in the process, invite them and have fun together! This is a very original idea for those of you who don’t have time, it’s a perfect last-minute jar idea! The jars are made using colorful balloons – no painting is needed, which is great – balloons are faster to make jars than painting. Cover the jars, attach eyes and voila! 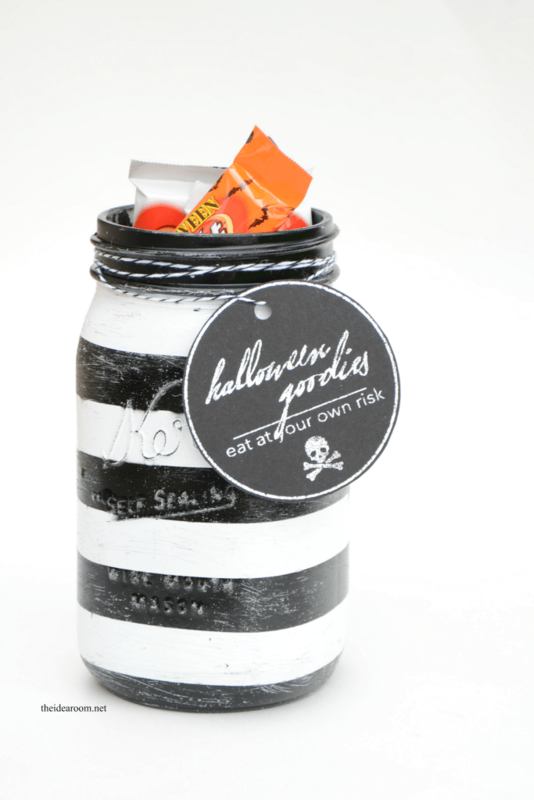 These candy jars are a great idea with a touch of Halloween classics: they are black and white and with chalkboard tags. Painting the jars in stripes isn’t difficult at all, and the tags can be printed out if you want. These are perfect for a sweet Teacher’s Gift or for the grandkids. 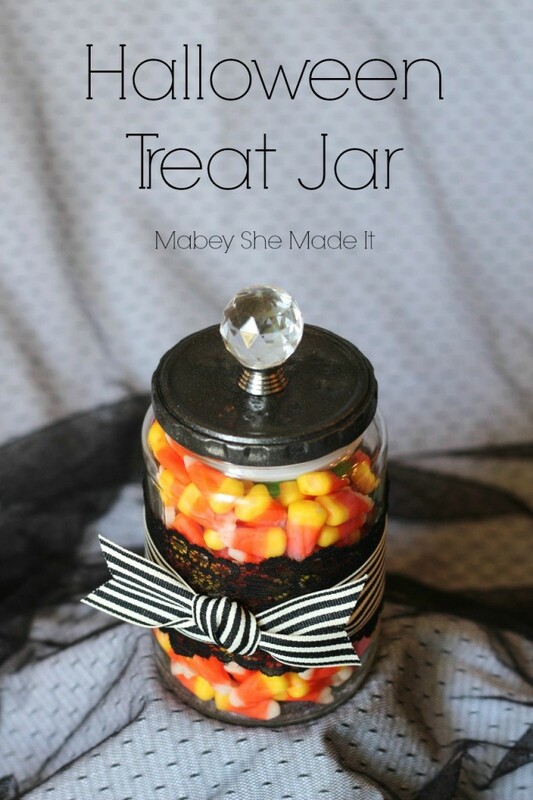 This treat jar isn’t scary at all and is far from Halloween classics, it’s bright and colorful with a gradient effect. 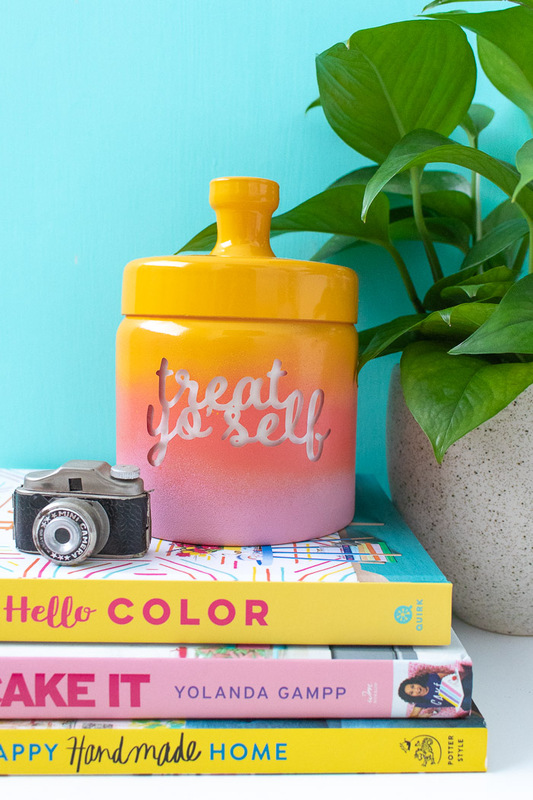 It’s a glass jar with a stencil and gradient spray painting plus a lid – it looks so cool that you may use it anytime. Add a touch of color to your space and raise your mood with these bold shades! 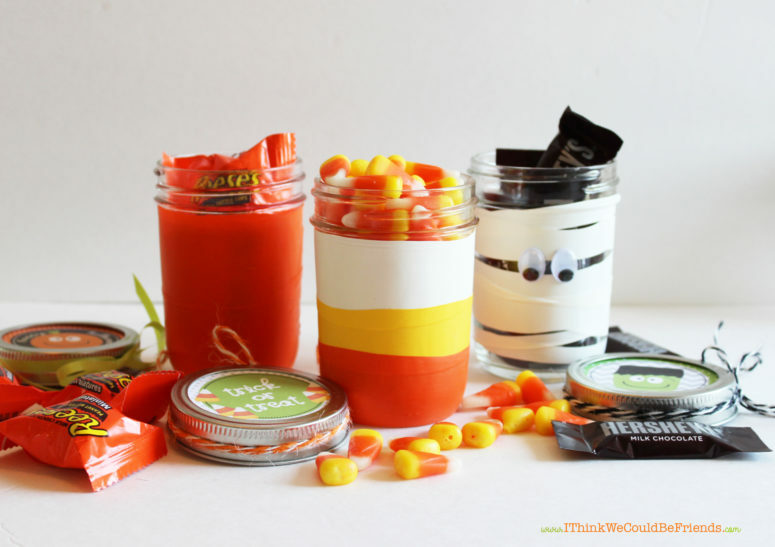 These mummy-styled mason jars are amazing for candies, forks, knives and can even work as vases for centerpieces. 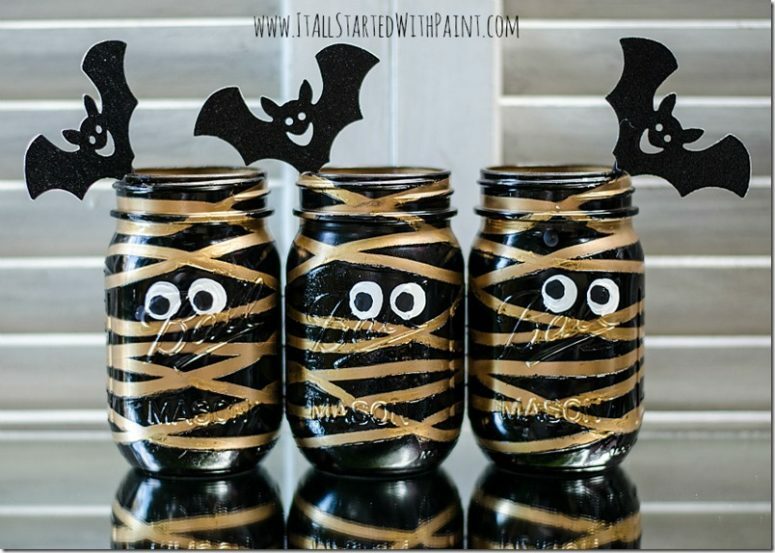 These are mason jars painted gold with black stripes and black bats attached to the edges. You may also try black and white instead of gold to make them more traditional. Take mason jars, black paint and get ready for painting! This tutorial will tell you how to make sassy and cool skull and bones mason jars in black – don’t paint the whole jar, leave the skull in clear glass and paint the lid, too. 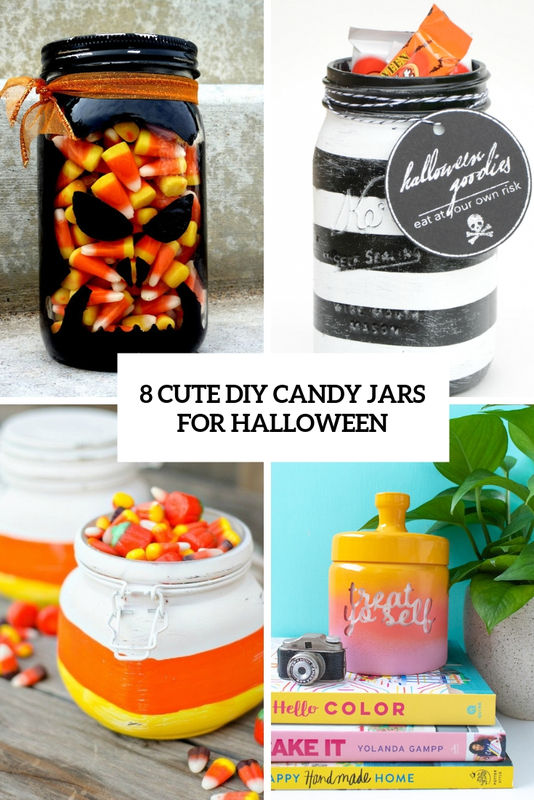 You may also add some colorful ribbons and fill your jars with candies. Here’s a perfect and fast craft to make a treat jar when you have no time. Take a usual jar, paint its lid black and cover the jar with black lace and a black and white ribbon – and you’ll get an elegant and chic jar at once. Read the tutorial for more details and make some jars even if you don’t have time – it’s so fast!